Dr Lee Moon Keen is a Consultant Neurologist who was trained at the University of Malaya and later at the Institute of Neurology, University of London, through the Chevening Scholarship of the British High Commission. She lectured at the University of Malaya until 1994, after which she commenced private practice. Dr Lee’s main interest is in Movement Disorders, including Parkinson’s disease. She is Director of the Sunmed Functional Surgery Team which performed the first Parkinson’s Surgery for Deep Brain Stimulation (DBS) in Malaysia in February 2003 at Sunway Medical Centre. 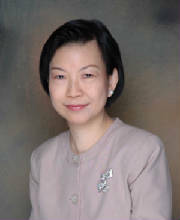 Dr Lee is a Founder Member of the Malaysian Society of Neurosciences and has served as Vice-President. She is adviser to the Movement Disorders Council of which she was a founding member. As a Fellow of the Academy of Medicine of Malaysia, Dr Lee is a member of the Neurology Credentialling Committee for the National Specialist Register. She has served on the Subcommittee for Strategic Planning as well as various expert committees for drafting Clinical Practice Guidelines on Parkinson’s Disease, Stroke and Brain Death Certification. For the Malaysian Medical Council, she worked with the guideline on Good Medical Practice. Dr Lee served on the expert panel of the “Asian Parkinson Disease Network Meeting” in Tokyo in May 2015. Dr Lee has published research in Movement Disorders, Deep Brain Stimulation, Stroke and Muscular Dystrophy. She is an occasional reviewer for articles on Neuromodulation.